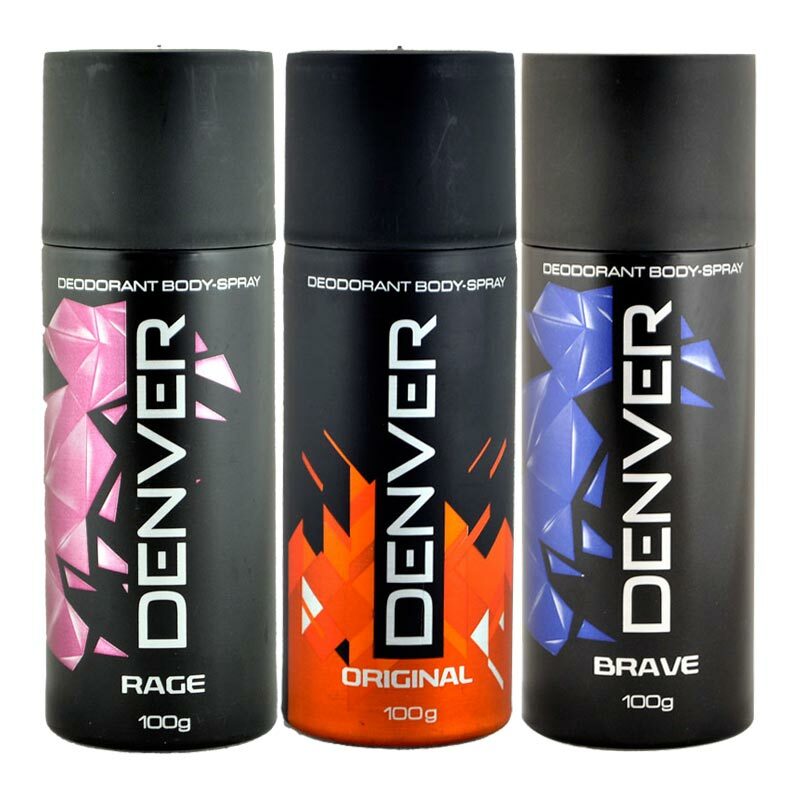 Denver Denver Original, Brave, Rage Pack of 3 Deodorants Denver deodorants for men come with a unique fragrance mix & long lasting protection to keep you fresh throughout your day. Product #: Regular price: Rs.597INR597(Sale ends 01 January ) Available from: DeoBazaar.com Condition: New In stock! Order now!